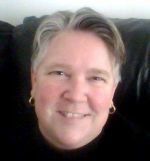 K. Robinson, M.A., is an independent writer, researcher, and genealogist specializing in the historical content of the Americas and Europe. She received her B.A. from Mills College in art history and foreign languages (Spanish, German, and Italian) and earned her master’s degree in History from Arizona State University. In addition to unearthing and constructing 100-plus family histories, she has contributed research to several recent monographs, including Anne Pruitt-Logan’s biography on Dr. Lucy Diggs Slowe, Faithful to the Task at Hand and scholar Nancy Dallett’s At the Confluence of Change: A History of Tonto National Monument. When not expanding the content and scope of her masters’ thesis on California’s first African American landowners in preparation for commercial publication, Ms. Robinson conducts freelance historical and genealogical research.